Male’ City Council is ready to step in and vacate the restaurant, Newport View, if it fails to abide the notice to vacate the premises of its own accord, says Male’ City Mayor, Shifa Mohamed. Strada Private Limited was issued one-month notice to vacate the land where it runs Newport View and the bridge-viewing platform on March 11. The notice period ended on April 11, but the company has not closed down its businesses or vacated the premises. Mayor Shifa, in response to a tweet by a member of the public who voiced alarm over the failure of Strada to comply with the notice, tweeted that City Council was ready to step in and vacate the premises as soon as it receives orders from relevant authorities. 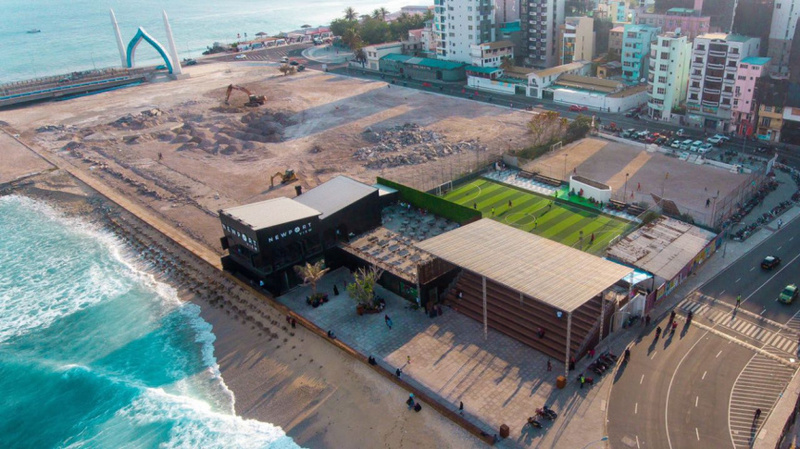 Strada was awarded land at the location in Lonuziyaaraih Kolhu where it runs the Newport View and bridge-viewing platform and the now-demolished beverage outlet, Chai Time, during former Maldivian President Abdulla Yameen Abdul Gayoom’s administration. The Managing Director of Strada at the time was Zahid Rameez, who was a council member of the former ruling party, Progressive Party of Maldives (PPM) prior to his abrupt resignation from PPM last March. The current MD of Strada is Malaka Abdul Azeez – Zahid’s spouse. The former Housing Ministry had agreed to pay Strada MVR 14.4 million as compensation following its decision to rescind rights granted to the company to run Chai Time in order to run the ring road project in Male’ City. However, release of compensation money has been put on hold at the instructions of Anti-Corruption Commission (ACC) which is running a probe into the decision, and Strada has threatened to sue the State over the issue. Strada’s restaurant chain, Newport, was also under investigation by the ACC over the award of contract to prepare the banquet to celebrate Maldives’ 50th Independence Day. ACC had forwarded the case to the Prosecutor General’s Office for criminal charges, but the Prosecutor General’s Office later decided not to proceed with charges.